I’d like to take a moment to celebrate the discoveries of NASA’s Cassini spacecraft — including the finding of water on Saturn’s moons Titan and Enceladus. The 13-year mission ended Friday when Cassini, running out of fuel, was directed to self-destruct by burning up in the atmosphere of the ringed planet. Cassini was launched from Florida’s Cape Canaveral in 1997 and reached Saturn in 2004. NASA extended the mission for two years and then again for seven years, as new findings continued to emerge, with a later focus on Saturn’s moons. An amazing surprise came when a subsurface ocean was found on Enceladus. The video on this page reveals some of the feelings that welled up and lingered among the Cassini team after the spacecraft came to its fiery end on Friday. If you are interested in space discoveries, I recommend a glance at the text, photos and videos shared on NASA’s website. I also enjoyed the “most inspiring, beautiful, and historic” photos taken during the mission and pulled together by Brian Resnick for Vox Media’s website. Since the beginning of the manned space program, astronauts have been playing with water in microgravity conditions. The result has been a large assortment of videos demonstrating the unique and amusing properties of water. In the first video on this page, Chris Hadfield, an astronaut with the Canadian Space Agency demonstrates what happens aboard the International Space Station when you ring out a soaked wash cloth in the weightlessness of space. The experiment was suggested by students Kendra Lemke and Meredith Faulkner of Lockview High School in Fall River, Nova Scotia. It was posted on YouTube in 2013. The video shows that the surface tension of water is great enough that the water keeps clinging when Hadfield rings out the cloth. If you watch closely, however, you can see a few droplets fly off when he starts to ring out the cloth. Hood Canal cloaked in light green from heavy plankton growth. 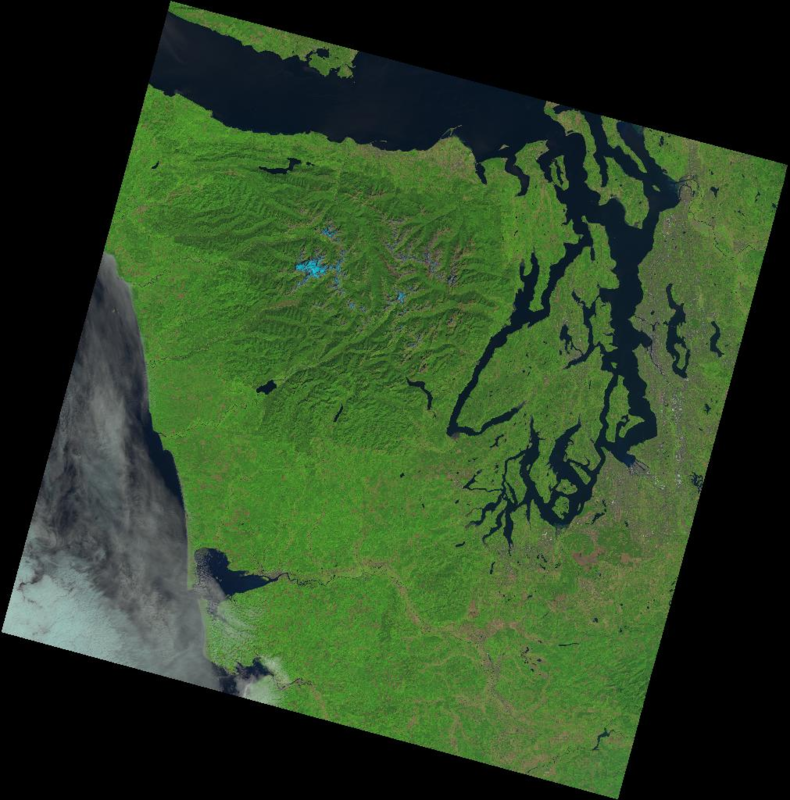 From space, Hood Canal is easily recognized by its new shade of bimini green, a color that stands out clearly from the rest of Puget Sound and the Pacific Ocean, as shown in the photo above. 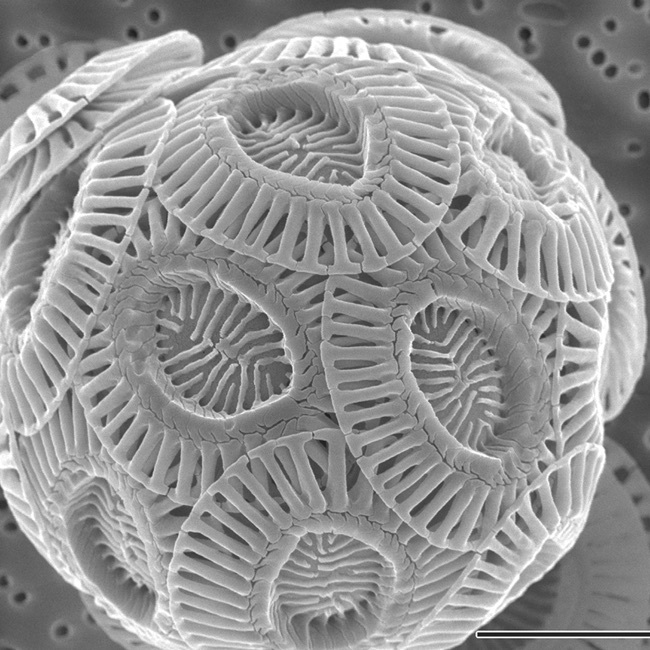 The color is caused by a large bloom of coccolithophore, a single-celled phytoplankton bearing a shell made of white calcium carbonate. 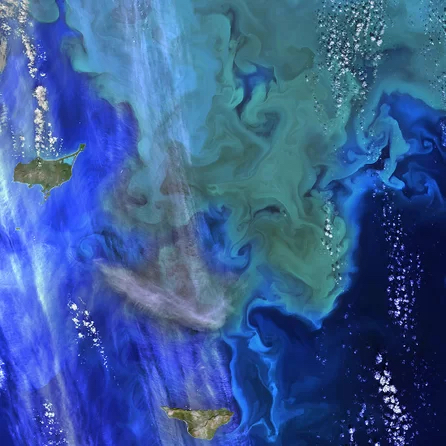 A more detailed image of the plankton bloom. Teri King of Washington Sea Grant spotted the unusual color more than a week ago from the ground while driving along Hood Canal. “I thought to myself, ‘Am I dreaming of the Cayman Islands?’” she reported on her Facebook page. “I pulled over to the side and took a few photos to document my observations. I then had an opportunity to grab a water sample. Yep, a Coccolithophore bloom from Quilcene to Lilliwaup. 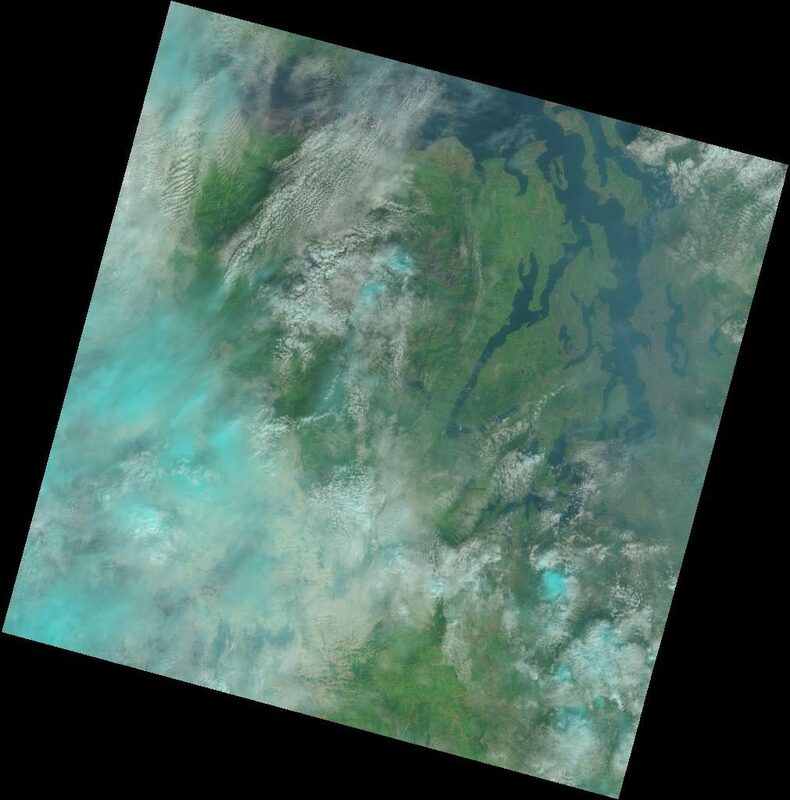 The photo from space (top) was taken last Sunday from NASA’s Aqua satellite with equipment used to capture the natural color. 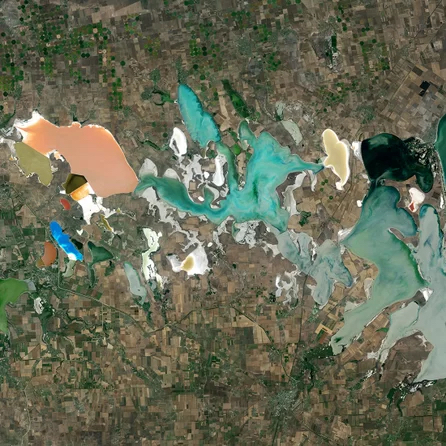 On Wednesday, a more detailed image (second photo) was taken from the Landsat 8 satellite. Reporter Tristan Baurick describes the phenomenon in yesterday’s Kitsap Sun. The single-celled plankton are not harmful to people or animals, so the bloom won’t affect shellfish harvesting. 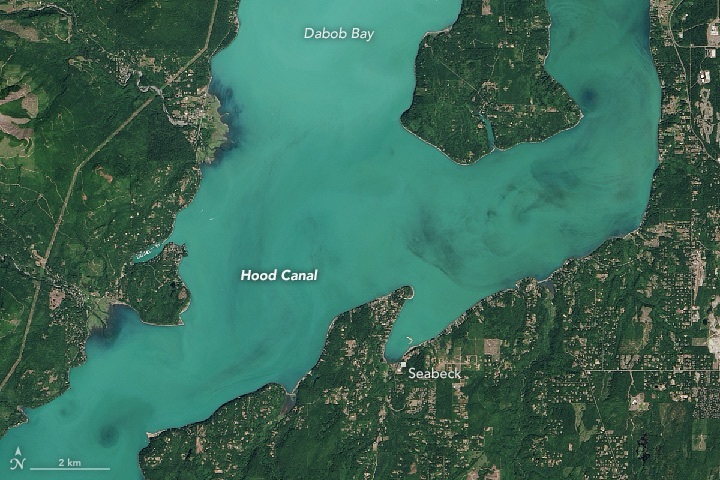 Hood Canal, as we’ve discussed many times, is prone to low-oxygen conditions, often exacerbated by massive blooms of plankton, which reduce oxygen through the process of decay. 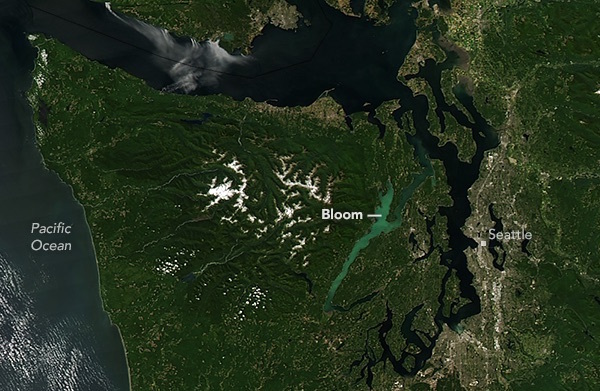 The last major bloom of this kind in Hood Canal was noted in northern Hood Canal during the summer of 2007. 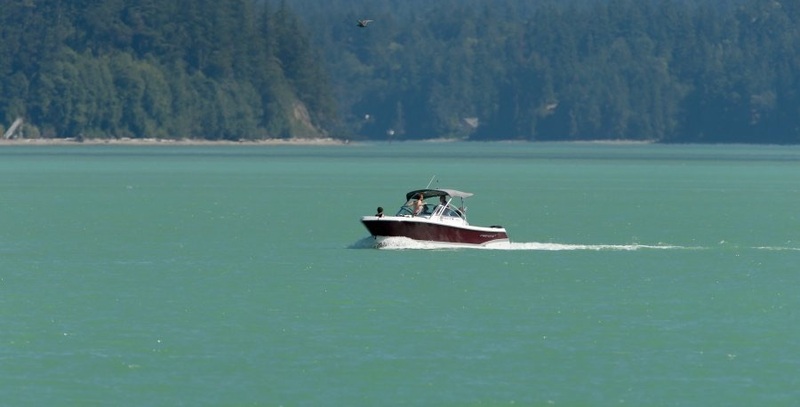 Samples taken at that time showed the species of coccolithophorid to be Emiliania huxleyi, according to a report for the Hood Canal Dissolved Oxygen Program. NASA’s photos and description of the latest bloom can be found on the Earth Observatory website, which also includes just about all you need to know about coccolithophores. Hood Canal is green alright, up close and far away. Adam Volland of NASA’s Earth Observatory program came up with an interesting idea. 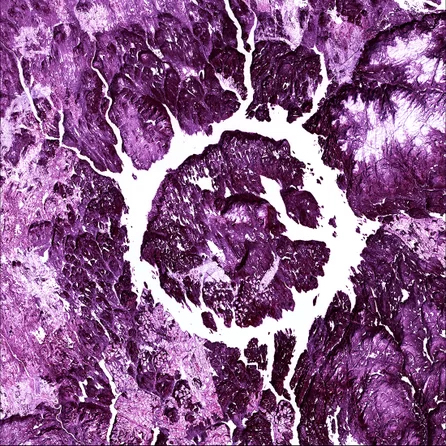 Looking over satellite images, Adam has found every letter of the alphabet formed by Earthly features, mostly land-based formations. Whoever knew that Holla Bend National Wildlife Refuge in Arkansas forms the letter “B” if you include a nearby section of the Arkansas River? 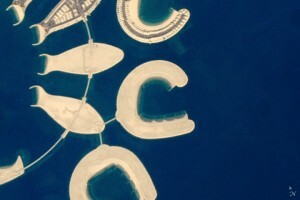 He found the letter “C” in a man-made island in the southern part of Bahrain, an island country in the Persian Gulf. What I also like about Adam’s project is the narrative he has written about each letter, describing the names of relevant features, animals and objects that start with the particular letter, including links to learn more about those features. 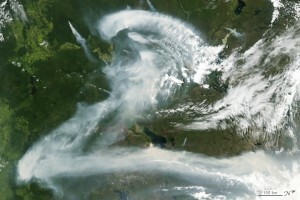 And it all ties together, since Adam’s Z is an image of wildfire smoke over Canada. 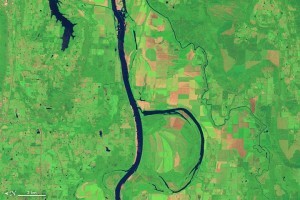 As the caption explains (and all images are explained), the image for “Z” was captured with a “moderate resolution imaging spectroradiometer” (MODIS) on NASA’s Aqua satellite. Considering all the associated links, this was a big project to create. It is also a great way to organize a lot of educational material. It reminds me of when I was in junior high school and decided to read the entire “World Book Encyclopedia.” I started at the beginning of the first book, a thick one that contained all the “A” words. I read for an hour or two each night after doing my regular homework. After many weeks, I was about halfway through the “A” words before I shifted my attention to other reading materials. I’m sure it won’t take nearly as long to read through Adam’s letters and all the linked materials. I’ve begun reading “The ABCs from space” with the letter “A” and expect to learn a lot about things on Earth. When I saw this amazing photo of our water planet, I knew I had to share it with readers of this blog. 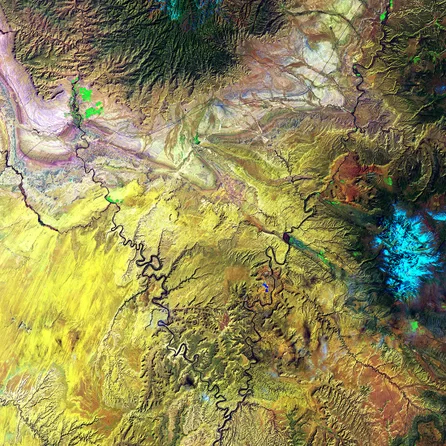 NASA is offering a high-resolution image (click to enlarge) on its website. 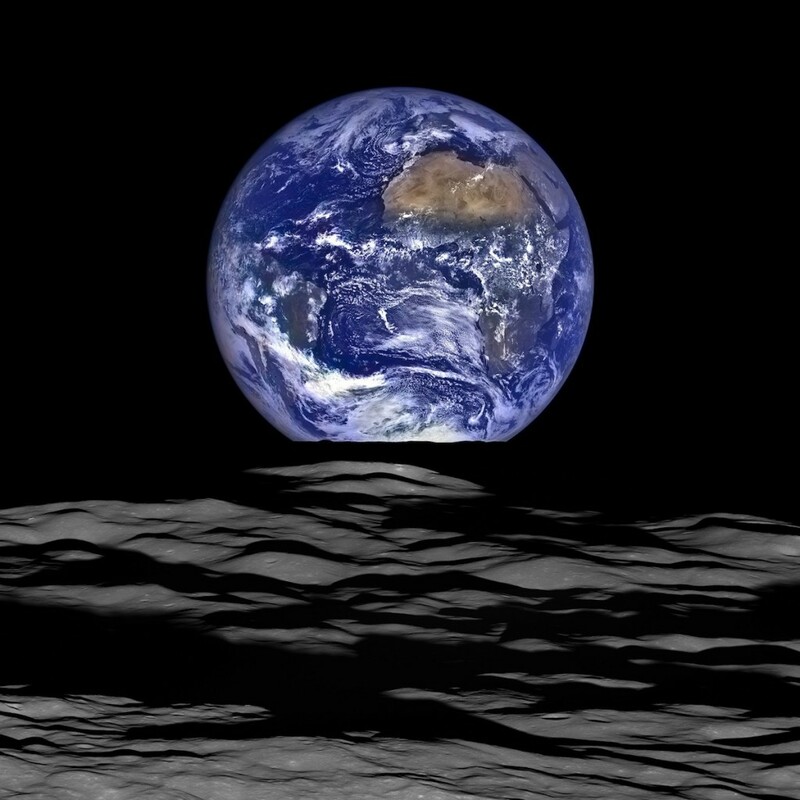 The composite photo was taken from NASA’s Lunar Reconnaissance Orbiter, which orbits the moon and can see the Earth rising and setting above the moon’s horizon. His comments and other information are provided in a NASA news release. LRO experiences 12 Earthrises every day, but its instruments are normally focused on the lunar surface. Images of Earth are captured rarely when LRO’s camera is turned away from the moon to study the extremely thin lunar atmosphere or to make calibration adjustments, according to the news release, which explains the entire process. The image above was composed from a series of photos taken Oct. 12, when the spacecraft was about 83 miles above the farside of the moon. Astronauts on the moon can never see the Earth rise or set. Since the moon revolves around its axis at the same rate as its rotation around the Earth, it always appears in the same spot in the moon’s sky. That location varies by where the observer is standing on the moon’s surface, and there is no Earth visible from the farside of the moon. Where the Earth is visible, the view of the planet is constantly changing, as continents rotate into view — unlike the view of the moon’s surface from Earth, which never changes. NASA’s first Earthrise image was taken with the Lunar Orbiter 1 spacecraft in 1966. Perhaps NASA’s most iconic Earthrise, according to NASA, was taken by the crew of Apollo 8 on Christmas Eve in 1968. 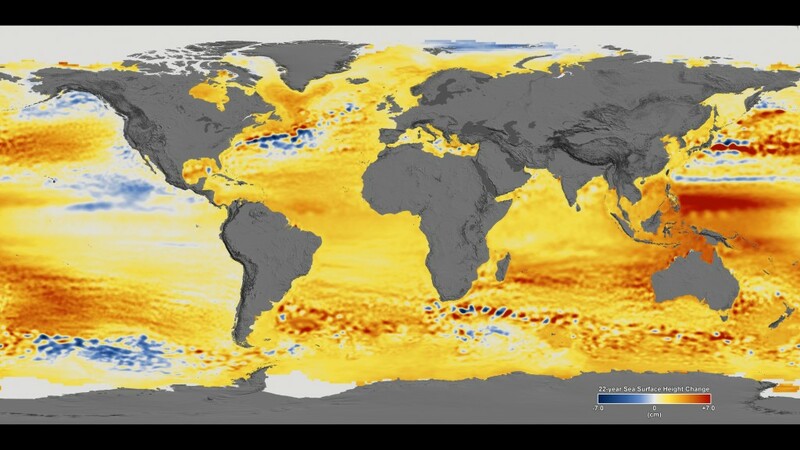 A new worldwide map of sea level rise, plotted with precision satellite instruments, shows that the Earth’s oceans are rising faster with no end in sight. Sea levels have gone up an average of 3 inches since 1992, with some locations rising as much as 9 inches. Meanwhile, some limited areas — including the West Coast — have experienced declining sea levels for various reasons. Two years ago, climatologists released an international consensus, which predicted a sea-level rise of between 1 and 3 feet by the end of this century. It was a conservative estimate, and new evidence suggests that ocean waters are likely to meet or exceed the top of that range, possibly going much higher, according to four leading researchers speaking at a news conference yesterday. The implications are huge and growing more important all the time. At a minimum, waterfront property owners and shoreline planners need to begin taking this into consideration. It doesn’t make sense to build close to the shoreline if extreme high tides will bring seawater to one’s doorstep. If we hope to avoid local extinctions of key intertidal species, we must start thinking about how high the waters will be in 50 to 100 years. For clues to the future, we can watch Florida, where vast areas stand at low elevations. Even now, during high tides, Miami is beginning to see regular flooding in areas that never got wet before. This is the future of low-lying areas in Puget Sound, such as estuaries. In the Pacific ocean, the threat of inundating complete islands is becoming very real. Along the West Coast, sea levels have actually declined over the past 20 years, largely because of the cooling effect of the Pacific Decadal Oscillation, a warming/cooling cycle that can remain in one phase for decades. The cycle appears to be shifting, with the likely effect that sea levels on the West Coast will soon rise as fast or faster than the worldwide average, according to Josh Willis, an oceanographer at NASA’s Jet Propulsion Laboratory in Pasadena, Calif. 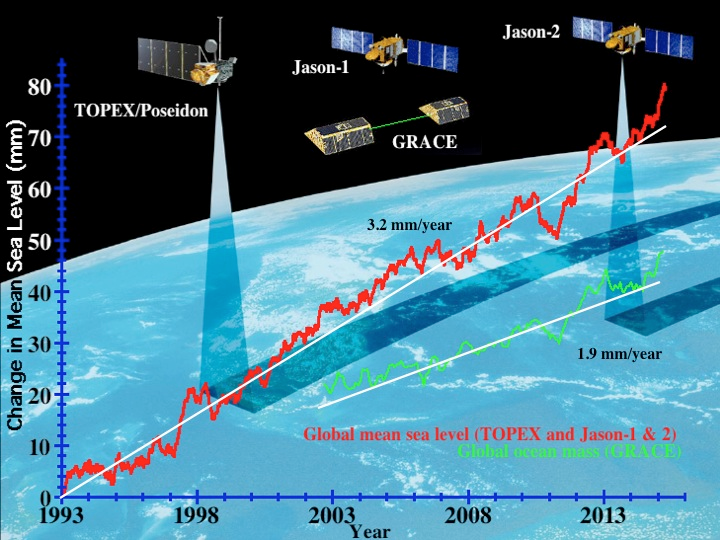 Global sea level has been measured accurately and continuously by satellites since 1993. The cause of sea level rise is attributed to three factors. Scientists estimate that roughly one-third of the rise is caused by thermal expansion of ocean waters, which absorb much of the energy from global warming. Another third comes from the melting of the massive Greenland and Antarctic ice sheets. The remaining third comes from the melting of mountain glaciers throughout the world. Researchers at yesterday’s news conference said they expect the melting to accelerate. Measuring the change in sea-level rise has become possible thanks to advanced technology built into altimeters carried aboard satellites. 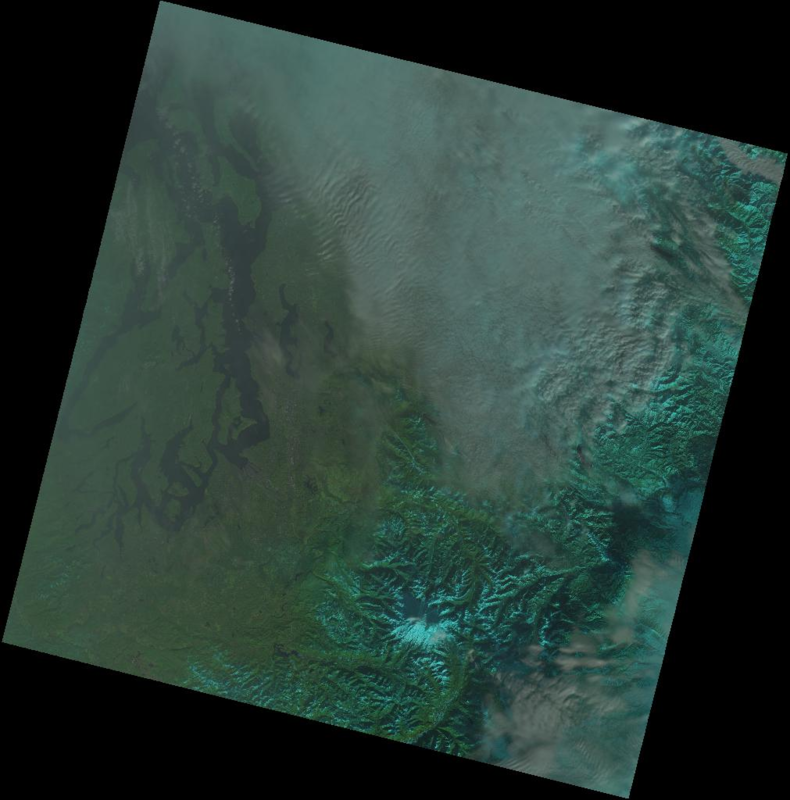 The instruments can distinguish changes in elevation as small as one part in 100 million. “The instruments are so sensitive that if they were mounted on a commercial jetliner flying at 40,000 feet, they could detect the bump caused by a dime lying flat on the ground,” said Michael Freilich, director of NASA’s Earth Science Division. While sea level rise can now be measured, predicting the rate of future rise is difficult, because much of the melting by ice sheets occurs out of sight under the water. The Greenland ice sheet covers 660,000 miles — nearly the size of Alaska. Satellite measurements have shown that an average of 303 gigatons of ice have melted each year over the past decade. The Antarctic ice sheet has lost an average of 118 gigatons per year, but some new studies suggest it could begin to melt much faster. In Greenland, researchers are reporting that one of the largest chunks of ice ever to break away from land cleaved from the Jakobshavn glacier in a “calving” event that left researchers awestruck. More than 4 cubic miles of ice was loosed quickly into the sea. Check out the news release by the European Space Agency. The following video tells the basic story about sea level rise. Finding “youthful” mountains on the surface of Pluto has come as a great surprise to the Geology, Geophysics and Imaging (GGI) team studying the distant body since the New Horizons spacecraft flew past. I was not planning to write anything about Pluto. After all, this blog is about water. Water on Mars is one thing. I did not expect to find relevance to a dwarf planet covered in frozen methane and frozen nitrogen. But I can’t ignore the findings of scientists who studied images from New Horizons to announce a discovery of mountains rising as high as 11,000 feet and a region near Pluto’s equator that may still be geologically active. This conclusion comes from a lack of craters on the surface, said GGI team leader Jeff Moore of NASA’s Ames Research Center in Moffett Field, Calif.
One would expect that Pluto would be scarred from all the space debris falling to the surface over billions of years — unless recent geologic activity had erased the pockmarks, according to a report posted today by NASA. “This is one of the youngest surfaces we’ve ever seen in the solar system,” Moore said. Pluto has practically no gravitational interaction with another planetary body, which is believed to be why mountains have risen on the moons of giant planets. On Pluto, other forces must be at play. 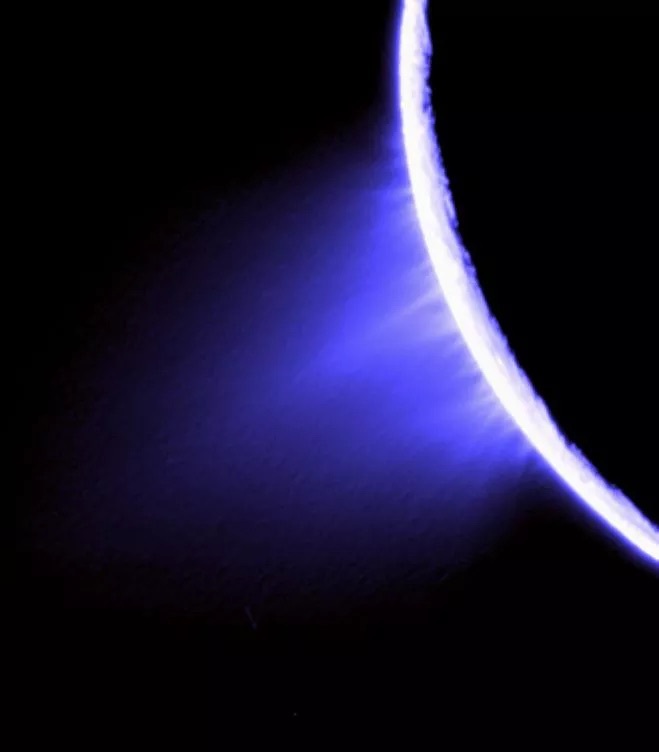 “This may cause us to rethink what powers geological activity on many other icy worlds,” said GGI deputy team leader John Spencer of the Southwest Research Institute in Boulder, Colo. The mountains are likely made of a water-ice “bedrock,” because frozen methane and frozen nitrogen are not strong enough to form mountains, the researchers say. “At Pluto’s temperatures, water-ice behaves more like rock,” said deputy GGI lead Bill McKinnon of Washington University in St. Louis. The scientists have been waiting nine years for New Horizons to reach Pluto, and now it is over. Yesterday, the spacecraft zoomed by at 30,800 miles per hour while seven instruments collected all sorts of information. Now all those data will be analyzed and discussed, adding to our knowledge of the solar system and beyond. One mystery solved is the Pluto’s actual size — 1,473 miles in diameter — somewhat smaller than many earlier estimates. Pluto’s atmosphere complicated the estimates. 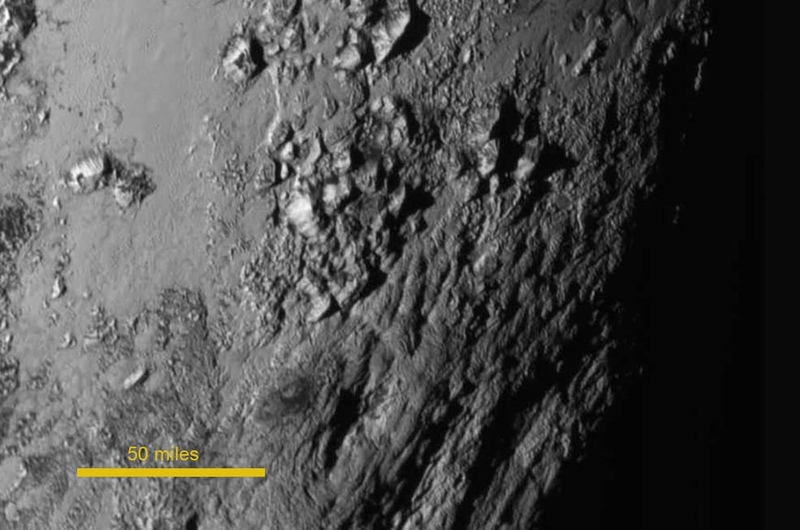 The size revision means that Pluto is less dense than presumed earlier. The amount of ice in the interior is greater, and the lowest layer of the atmosphere — the troposphere — is shallower that once believed. Pluto’s largest moon, Charon, lacks a significant atmosphere, so observations from New Horizons confirms previous estimates of 751 miles across. The next two smaller moons were too small for researchers to estimate their size until now. Hydra appears to be about 30 miles in diameter, and Nix is about 20 miles across. Mission scientists believe that ice may be making their surfaces extra bright. Pluto’s two smallest moons, Kerberos and Styx, are harder to measure but researchers expect to make estimates later. 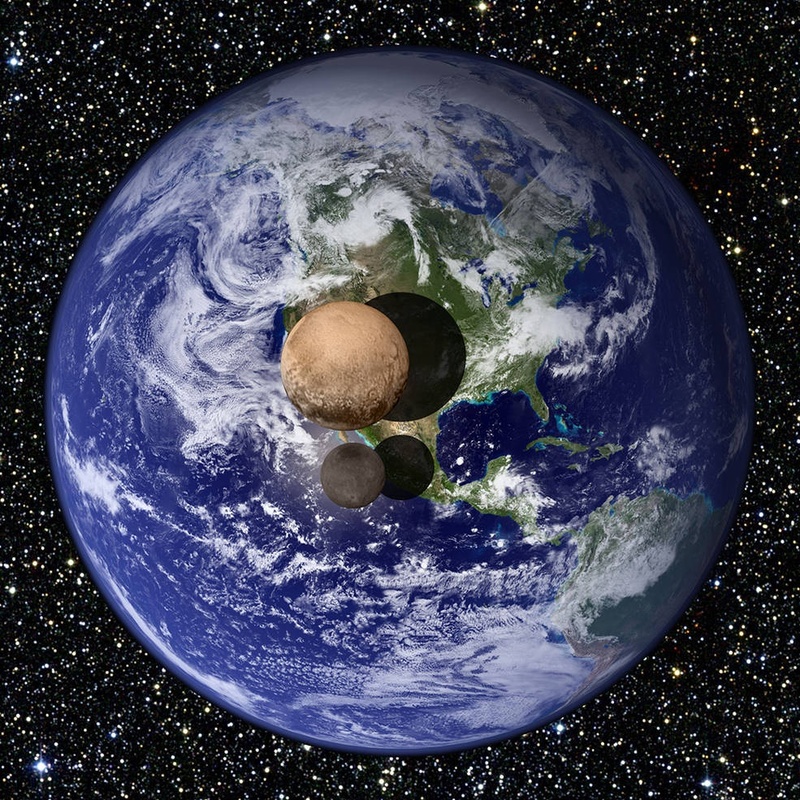 Pluto and its largest moon, Charon, placed just above the Earth’s surface in this graphic to show their relative sizes. Unique clouds at the edge of space appear to be showing up in spring and summer more often than ever before, according to NASA scientists, who speculate that climate change could be playing a role in cloud formation. I like the term “noctilucent clouds” for these night-shining clouds glowing with a tint of blue — although NASA researchers formally call them “polar mesospheric clouds.” That’s because they show up at the poles in the mesosphere at about 50 miles up — the outer edge of Earth’s atmosphere. If you are a scientist with a perspective from satellites, you don’t really think about day or night. Researchers have learned a great deal about these clouds since the 2007 launch of the Aeronomy of Ice in the Mesosphere (AIM) spacecraft, but they still seem distant and mysterious. A notilucent cloud photographed after midnight on July 2, 2011, near Edmonton, Alberta, Canada. The clouds are actually ice crystals about the size of particles in cigarette smoke, according to an interesting article by NASA’s Tony Phillips, who interviewed cloud-researcher and astronaut Don Pettit in 2003. Because the clouds are so high up, they are seen shortly after the sky turns dark at sunset, a time when sunlight can still bounce off the crystals. Years ago, they were seen only in the far-north latitudes in our part of the world, but more recently they have been seen as far south as Colorado and Utah. The temperature in the mesosphere is about -125 degrees Celsius, or nearly 200 degrees below zero Fahrenheit. Conditions up there are extremely dry — far dryer than any place on Earth. 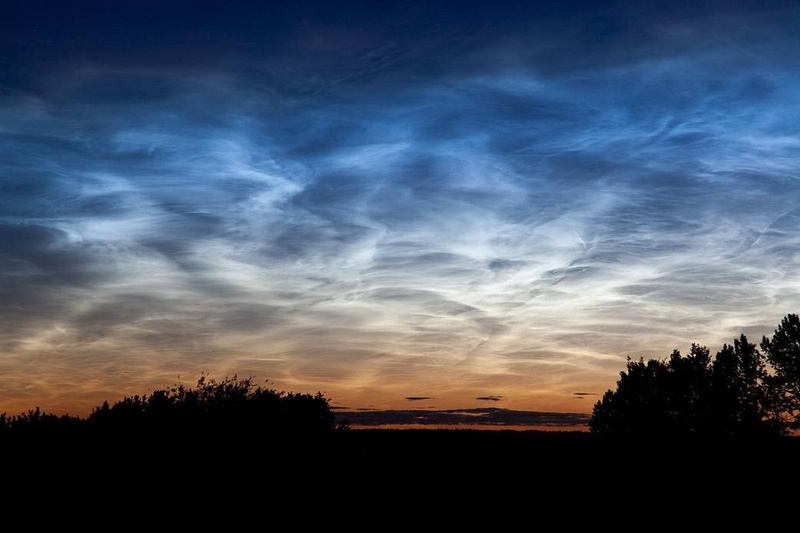 Like common clouds in the lower atmosphere, noctilucent clouds need water vapor and a “nucleus” upon which the water can attach. In the lower atmosphere, called the troposphere, ordinary dust and many other particles are common enough as a result of winds. Cirrus clouds can form in the highest layers of the troposphere, about 12 miles up. But until data came back from the AIM project, nobody was sure what was happening at 50 miles up. Now, researchers believe the nuclei are mostly space dust pulled in by Earth’s gravity. 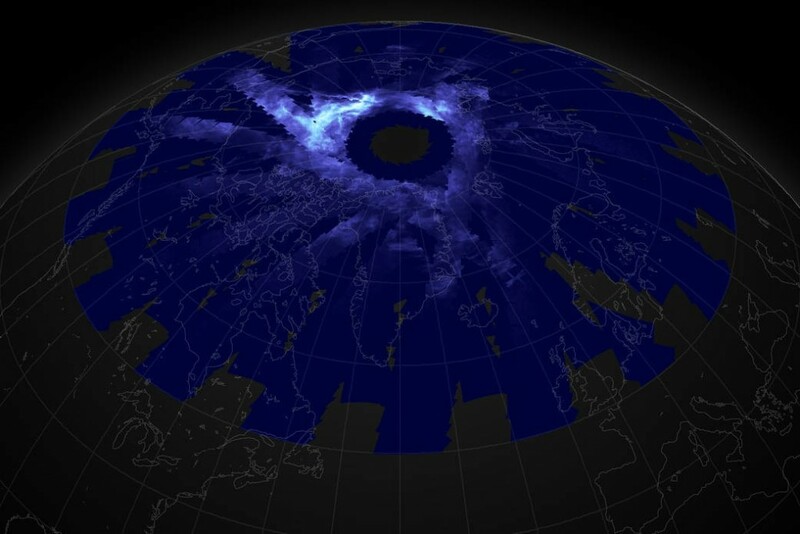 The first reports of noctilucent clouds came in 1885 after the eruption of the volcano Krakatoa. Researchers aren’t sure if volcanic dust made it high enough into the atmosphere to form the clouds, but that potential source disappeared long ago. Noctilucent clouds are observed in late spring and summer when upwelling winds carry water vapor up into the atmosphere. The increasing frequency of cloud formation may be the result of climate change. It turns out that when greenhouse gases warm the Earth’s surface, the upper atmosphere actually gets colder as heat escapes, helping the tiny crystals to form. Another factor in climate change could be the increasing amount of methane gas in the atmosphere. A complex series of reactions can oxidize the methane to form water vapor, which can then form ice crystals. One of the unexpected results of the AIM mission has been unusual “teleconnections” between the north and south poles via the mesosphere. It turns out that a slowing of stratospheric winds over the Arctic affects circulation in the mesosphere, causing a ripple effect around the globe. The southern mesosphere becomes warmer and drier, leading to fewer noctilucent clouds. These high-level connections were not even suspected when the AIM spacecraft was launched, but they are revealing how weather on one part of the globe may be connected to relatively rapid changes in other far-flung regions. (Check out last year’s video below.) Further studies of the upper atmosphere can be expected to bring more surprises.